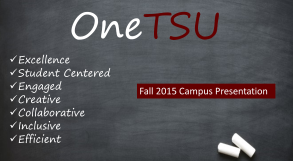 As an employee of Texas Southern University, you have access to a library of online trainings geared at increasing your knowledge and enhancing your job performance. To sign up for an online training, send an email to HRhelp. Online trainings typically take less than 30 minutes to complete and are accessible 24 hours a day, seven days a week at your convenience. We also have a library of training DVDs, books, pamphlets and guides available for loan. Contact HR for more information. The Office of Human Resources also offers one on one coaching on employee relations issues. If you need some guidance on how to handle an employee issue in your department, contact HR and make an appointment for a one on one training session. Organizational Effectiveness services focus on supporting leaders and their teams in achieving their objectives, increasing efficiency, and improving performance in a rapidly changing environment. We follow a consulting model that begins with assessing the current situation and identifying areas of change and improvement. We collaborate with departments throughout the process to develop, plan, and implement a customized set of solutions designed to meet their unique needs. Contact us to learn more about how we may assist you.